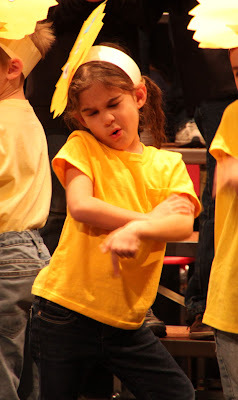 This is our little chick-a-dee getting into her school musical. It's so fun to get to see your kids in different activities and see how they perform. She sure was enjoying it, as did we! Super love this shot! 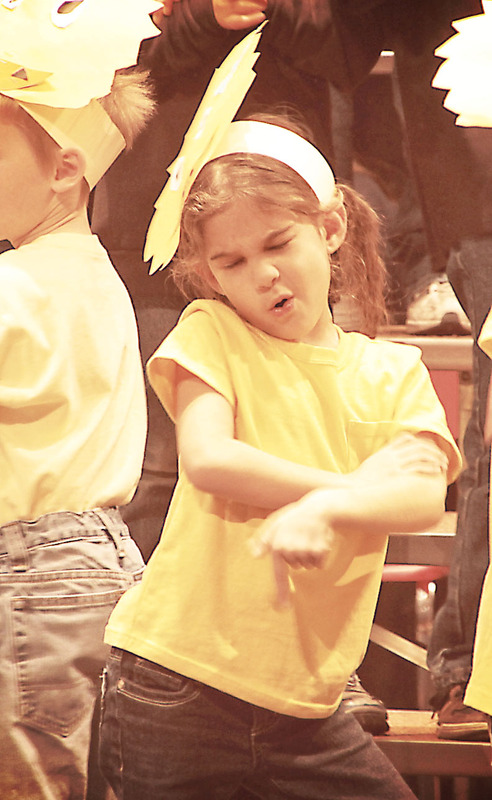 She's rockin it!